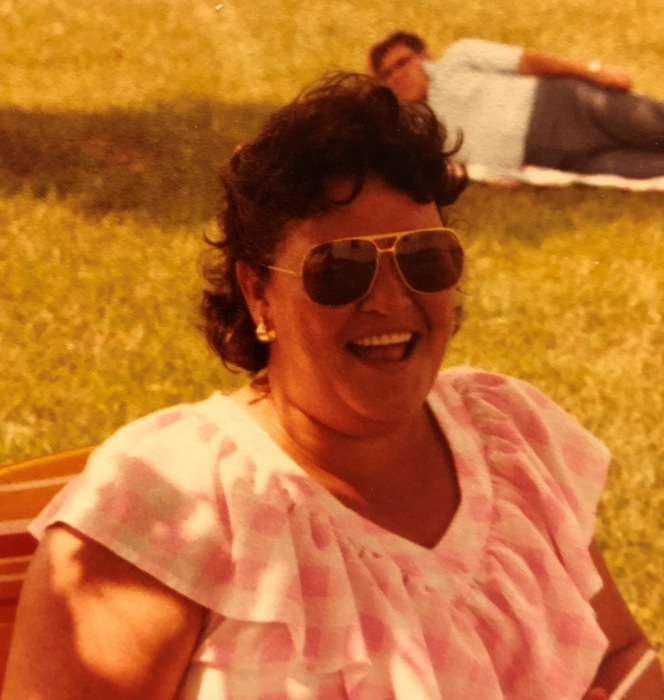 Mrs. Libby Ann Powell Ammons, age 71, of Guston, KY, passed away on Friday, August 31, 2018, at Harrison County Hospital, in Corydon, IN. Mrs. Ammons was born April 26, 1947, the daughter of Frank Vincent and Mary Audrey Thompson Powell. She was retired from Civil Service in Fort Knox. Libby loved retirement and spent her time cooking, sewing, crocheting, reading, and attending yard sales. Besides her parents, Libby was preceded in death by an infant daughter, Shannon Rose; two sisters, Margaret Powell and Carol Sue Powell Ammons; and a brother, Phillip W. Powell. She is survived by her husband of 50 years, Jim Ammons; two sons, Michael Ammons and Matthew Ammons, both of Guston, KY; a grandson, Stone Vincent Ammons, Caneyville, KY; three brothers, Tilford, Frank and Denzil Powell; and a sister, Hazel Powell Hickerson; and a Goddaughter, Olivia Adkisson. A vigil service will be held on Wednesday, September 5, 2018, at the chapel of the Hager Funeral Home, with Deacon Mike Jones officiating. Visitation will be held at the funeral home from 11:00 AM until 8:00 PM on Wednesday. Expressions of sympathy may take the form of contributions to the Pets in Need Society, P.O. Box 522, Brandenburg, KY 40108.